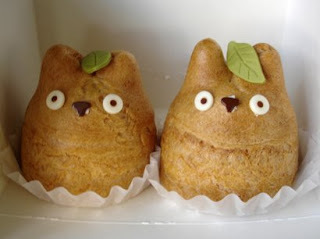 A Rinkya Blog: Totoro Cream Puffs! Check out my story on Japundit about the new Studio Ghibli endorsed Totoro cream puff bakery! If you are in Tokyo drop in and get a tasty treat and let us know how it tastes!